It is never too late to start working towards a career in the beauty industry – We spend most of our life working and it is important that we not only enjoy our job but are able to motivate and push ourselves to be the best that we possibly can. As a career, the beauty industry provides workers with a great sense of achievement in providing treatments and services that directly improve the mood and self-esteem of clients/customers. The job itself is perfect for those who want to have a creative career and one that is always innovating and progressing – In addition to this, those who enjoy interacting with people on a daily basis will find themselves at ease working as a fully trained beauty therapist – There are a range of different courses that are out there, it can be a tough world to navigate and this article is here to explain some of the courses we offer, the difference between the various course names and hopefully answer any questions that you may have about Beauty Therapy Fast Track Courses. If you have any direct questions about the courses offered by LBTA then please get in touch today! In addition to this, you can check out our upcoming open day dates by heading to the link provided. What is the difference between NVQ, VRQ and VTCT? If you are starting to look for a fast track beauty course then you will most likely come across one of the acronyms above. It is important to understand what these are so that you can navigate the beauty course a little easier. NVQ – NVQ stands for National Vocational Qualifications – This is the general name given to the courses in the UK – it is important to understand this is not just certificate for knowledge but also for your skills. VRQ – Vocationally Recognised Qualifications – these are courses that aim to give students a variety of things – In addition to providing a great insight into the knowledge needed to pass the chosen course, they also provide learners with the skills needed to excel in the industry. VTCT – Vocational training charitable trust – this is the assessment organisation that will ultimately award the certification for your diploma in beauty therapy. What are the Beauty Therapy Fast Track courses that we offer? We provide a variety of beauty therapy courses to students across London – Our main aim as a training provider is to provide our learners with a great platform to learn and develop their skills. Our teachers go above and beyond and learners are always the main focus for us as a training provider. Below are the two VTCT level 2 and 3 diplomas. The VTCT level 2 diploma has the main aim of providing learners with the ability to work towards the full skillset of becoming a fully trained beauty therapist. 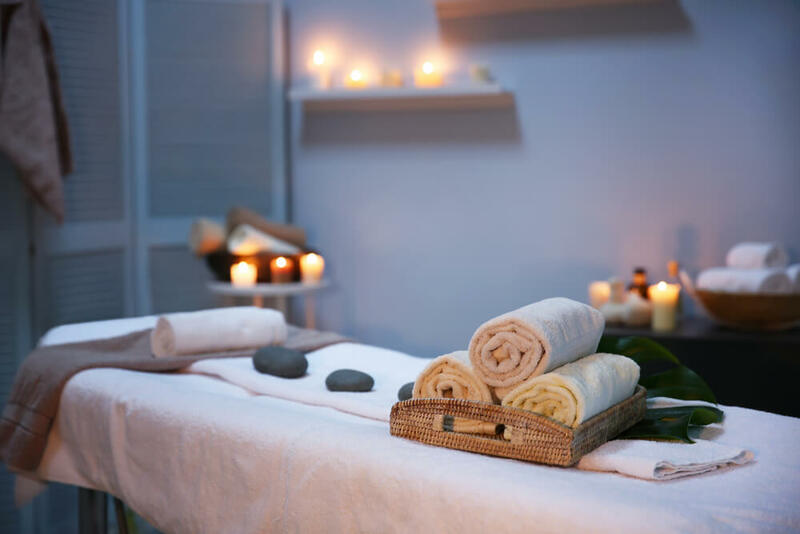 This will include a wide range of beauty treatments such as massage treatments, laser hair removal, spa and beauty treatments + a variety of other tasks that a beauty therapist will be responsible for. One of the main aspects of the Beauty Therapist roles that people sometimes forget is the client liaison aspect of the job. With both of the courses, learners will be fully prepared and educated on the things to expect when working in a busy working beauty salon. If you would like to get to know a bit more about both courses or want to speak to your potential teachers then please head on down to an upcoming open day. Why should you consider a career in beauty? A career in beauty will provide you with a wide range of progression opportunities – One of the popular routes that many of our learners take is to head down the self-employment route. This is one of the most rewarding avenues to take as it provides you with full ownership and responsibility for your progression and direction. It is important to weigh up your options before doing this – Heading down the self-employment route does have some stresses, you will be responsible for the cash flow of your business and also the sourcing of new clients. One of the other routes that our learners head down is to work for one of the busy beauty salons in London – LBTA work closely with a range of beauty salons across London to help provide learners with a job upon the completion of their course. Taking a proactive approach and contacting salons before the completion of your course is definitely recommended. Our dedicated team of career advisors and tutors will be able to help you find the perfect option that fits in with your needs and requirements. There are also a variety of career progression options available to those who work as a beauty therapist. There is the possibility to head into a more senior role within a beauty salon with the final option becoming the full salon manager. If you would like to speak with a member of the LBTA team to discuss the various Fast Track Beauty courses that we offer then please head on over to the link provided. LBTA provide a range of Beauty Therapy and other beauty courses in London – Our state of the art academies are located in Chiswick and Borehamwood – Our main aim as a training provider is to ensure that the level of training that our learners receive is of the highest standard. In addition to this, we want to make sure that all of our learners are fully trained in their chosen courses so that they are in the best possible position to accept a job. If you would like to find out about the two academies then please head on over to the links provided.